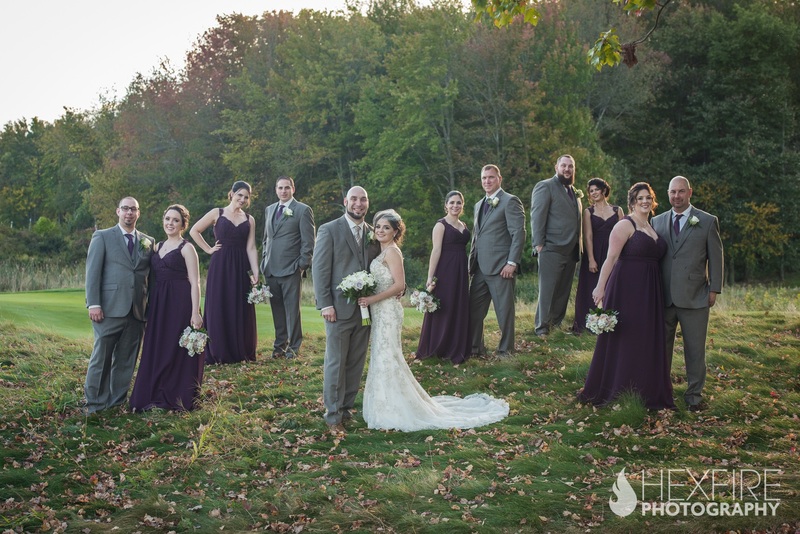 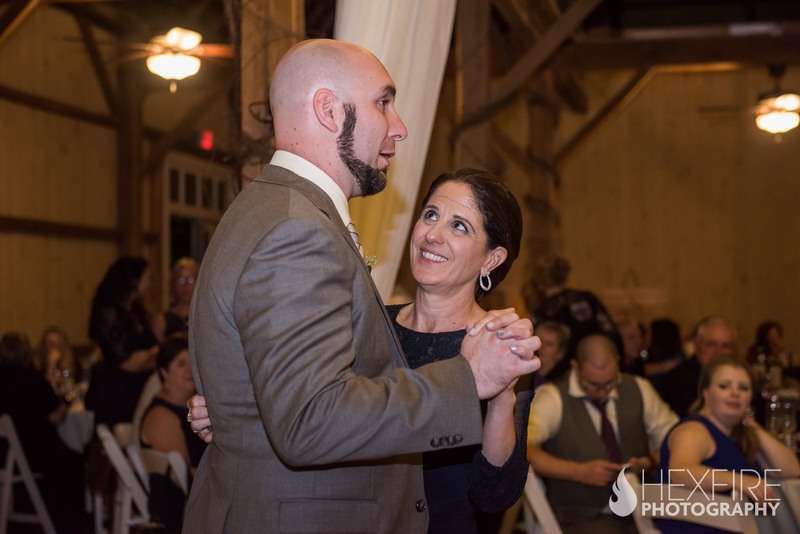 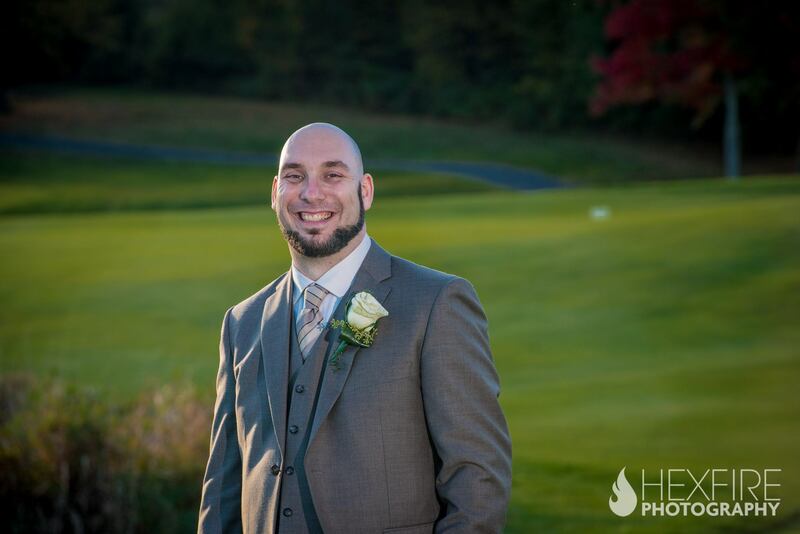 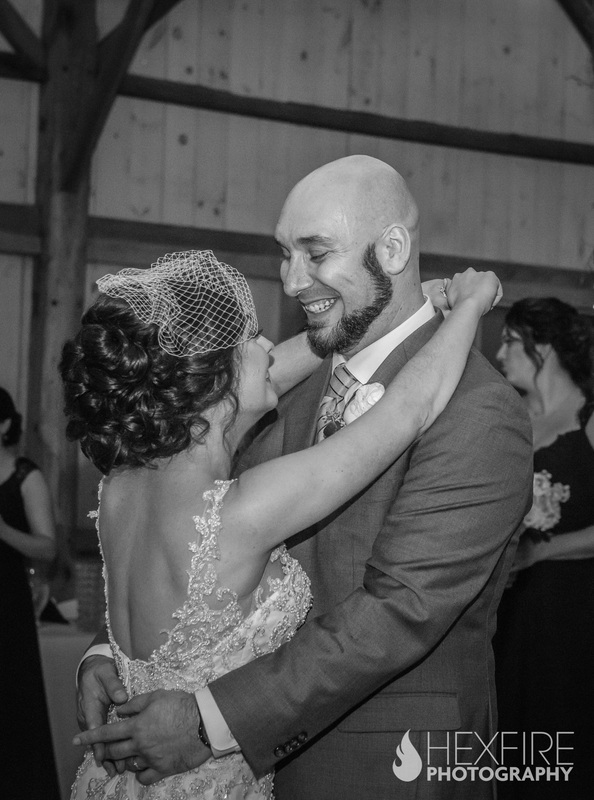 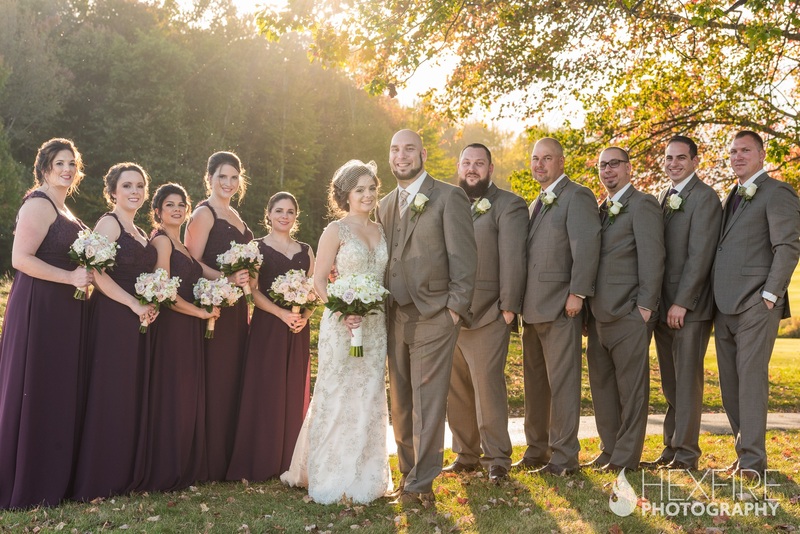 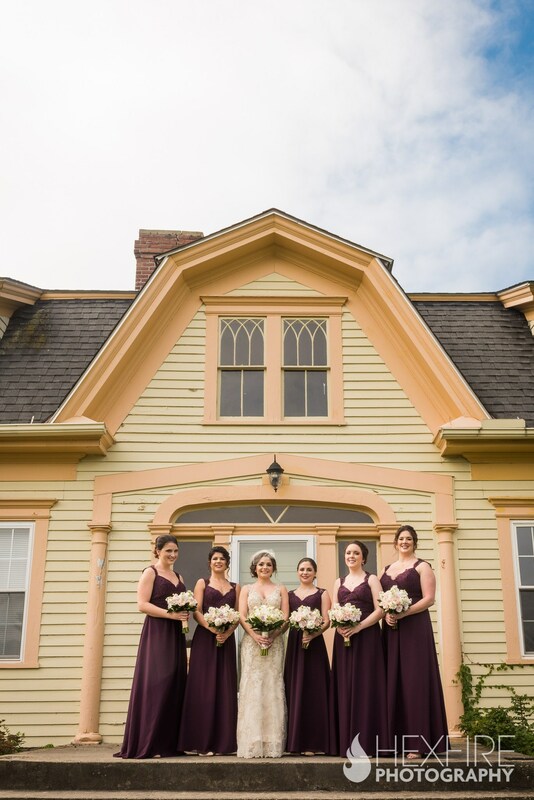 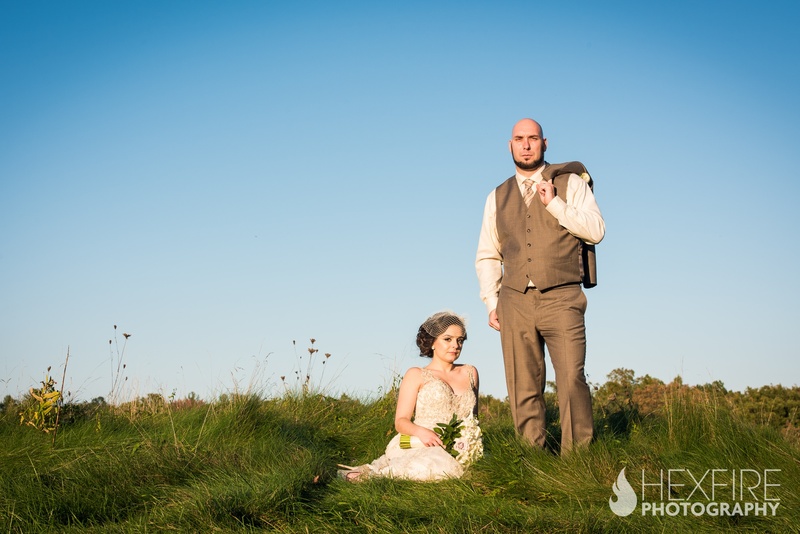 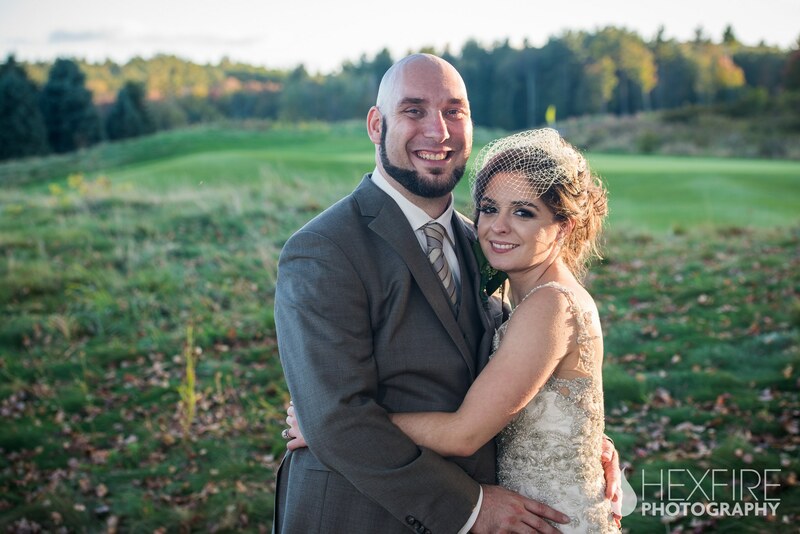 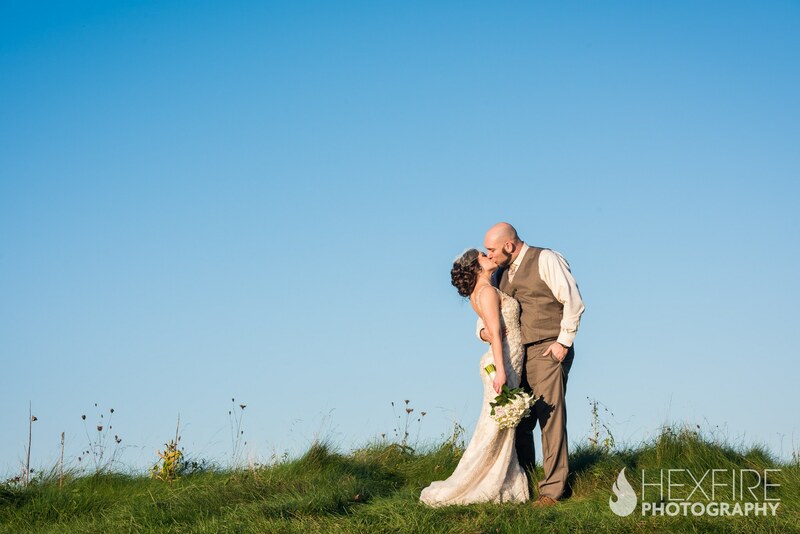 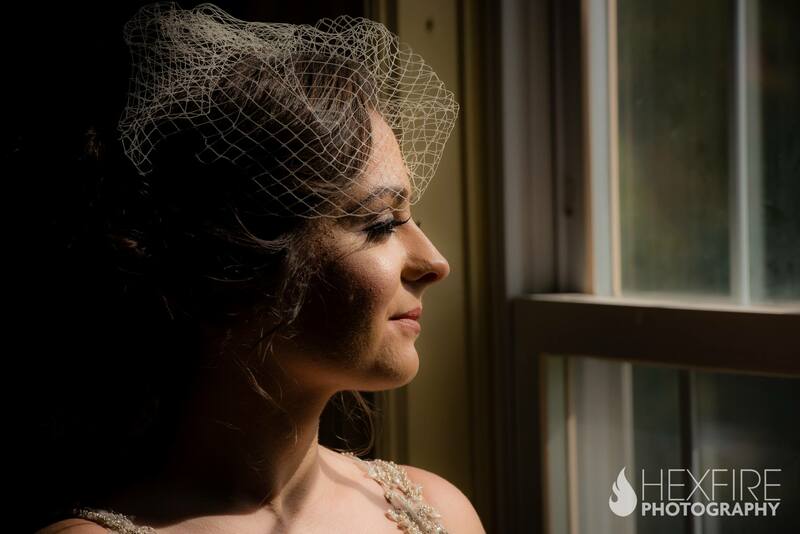 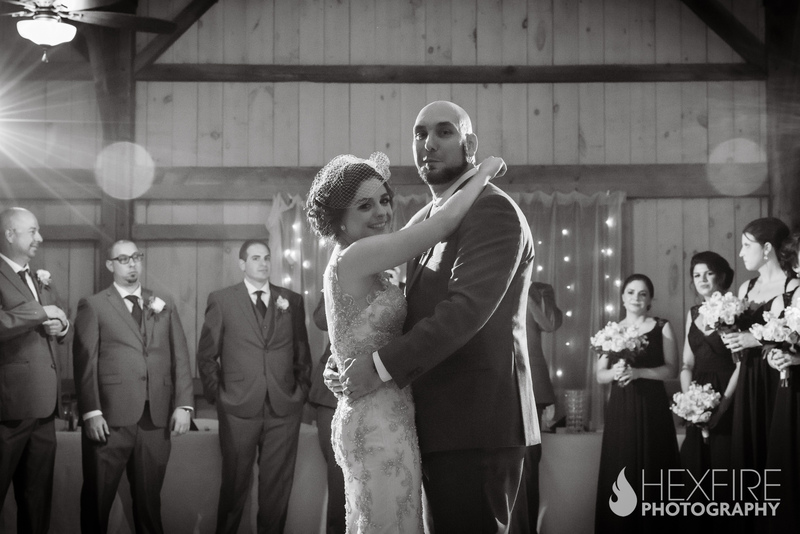 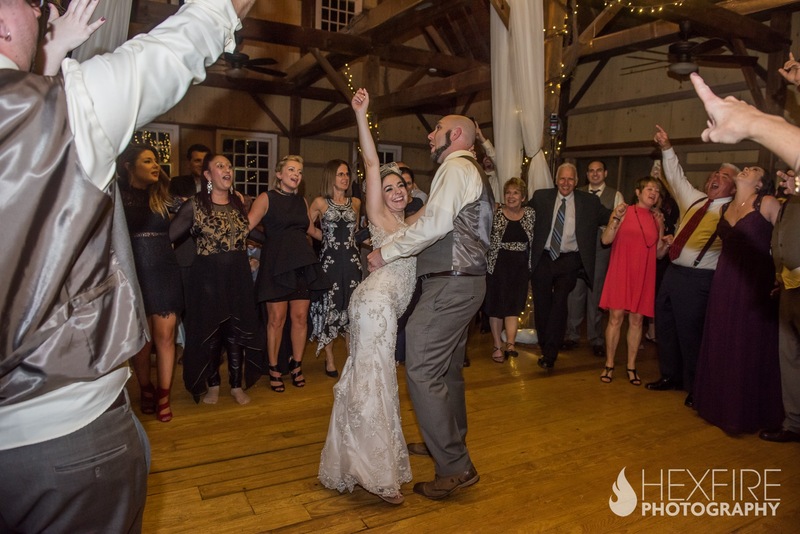 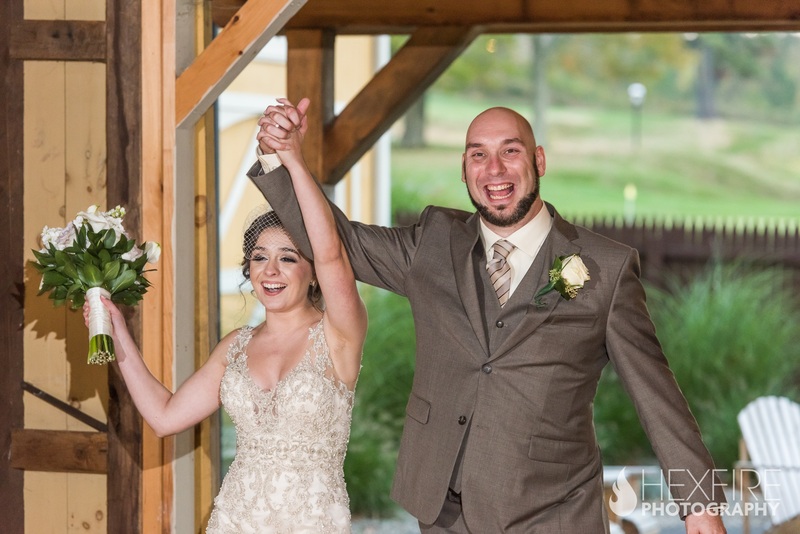 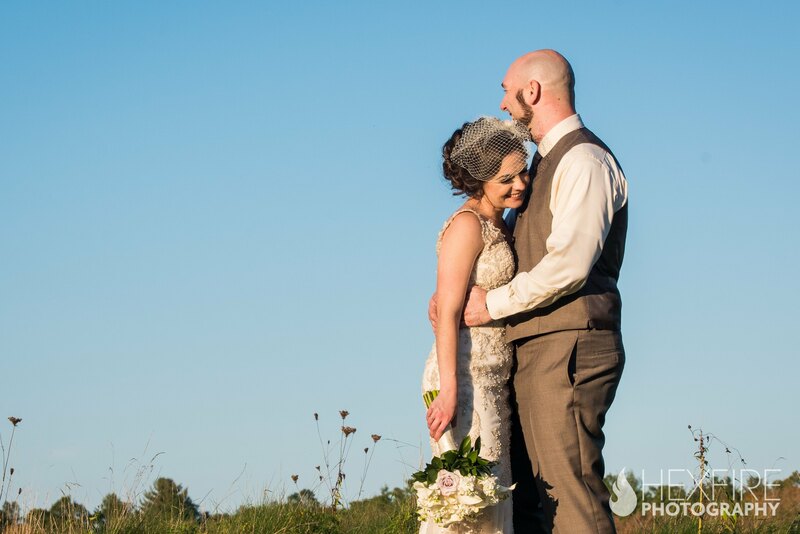 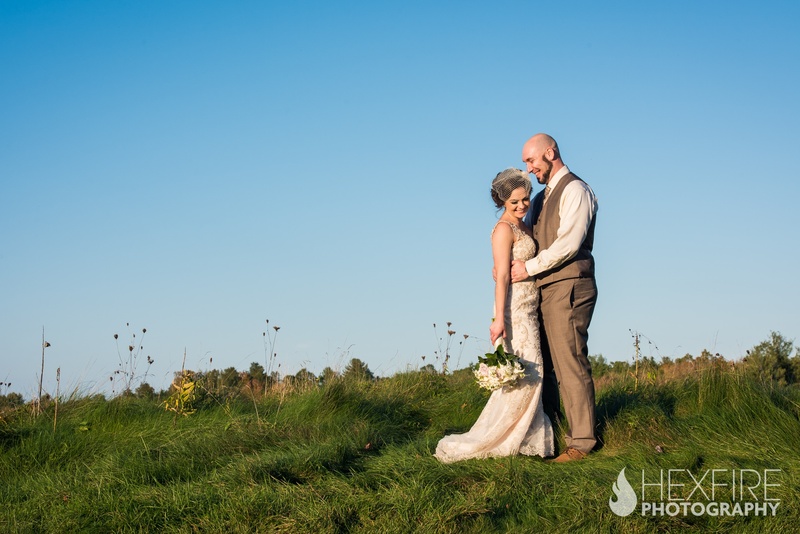 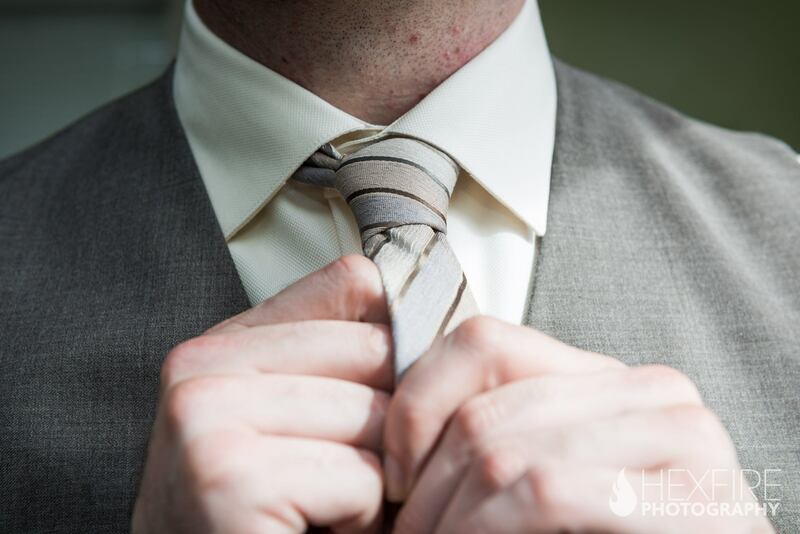 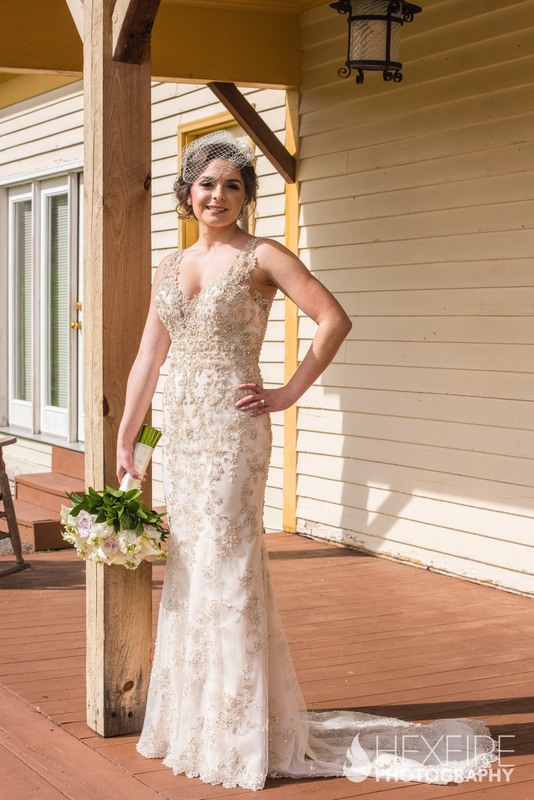 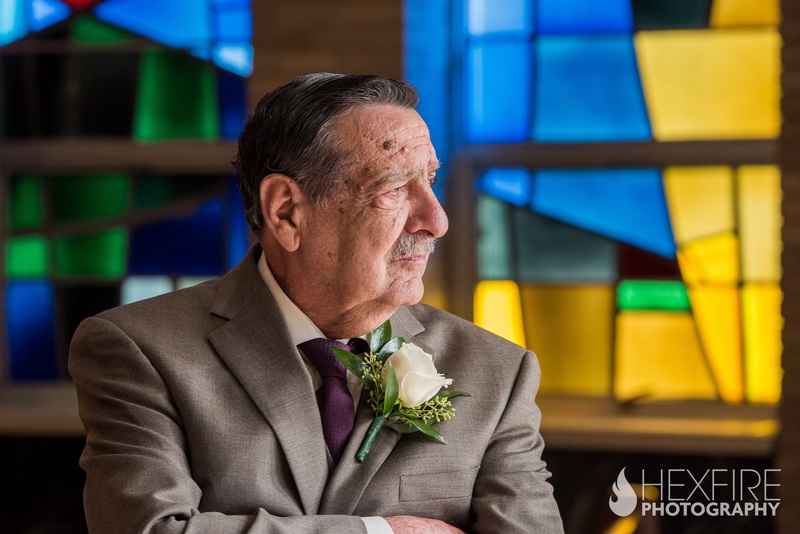 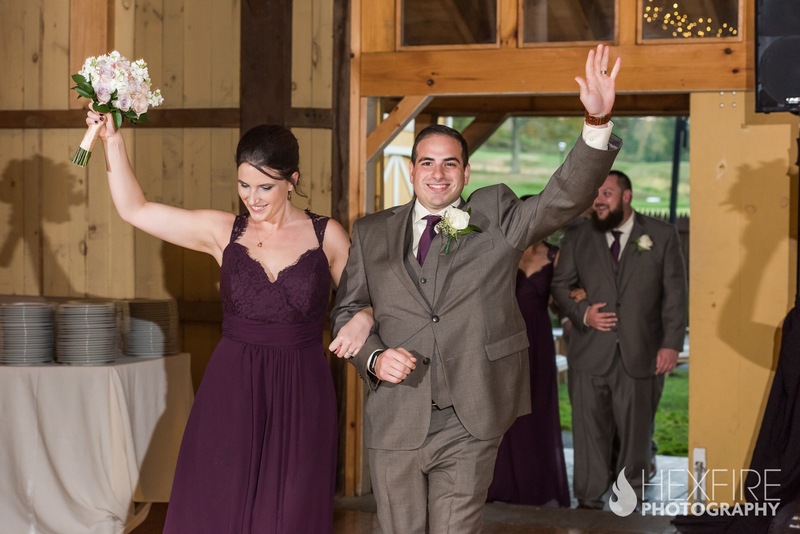 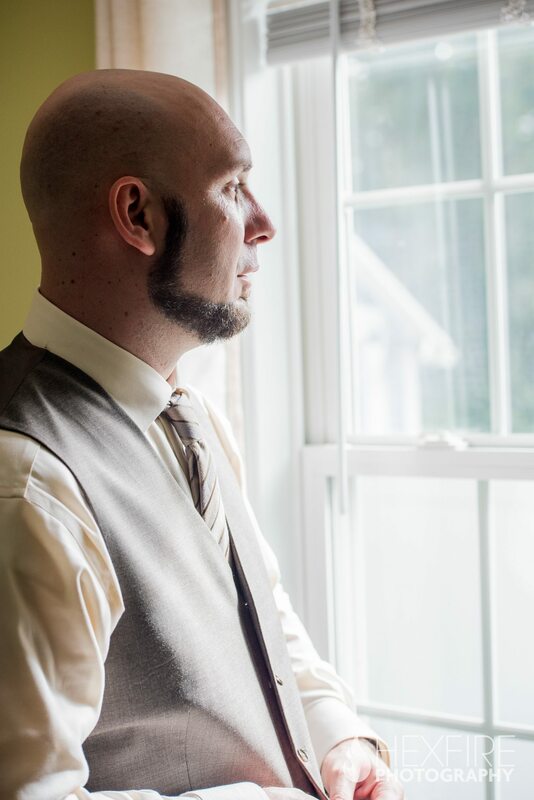 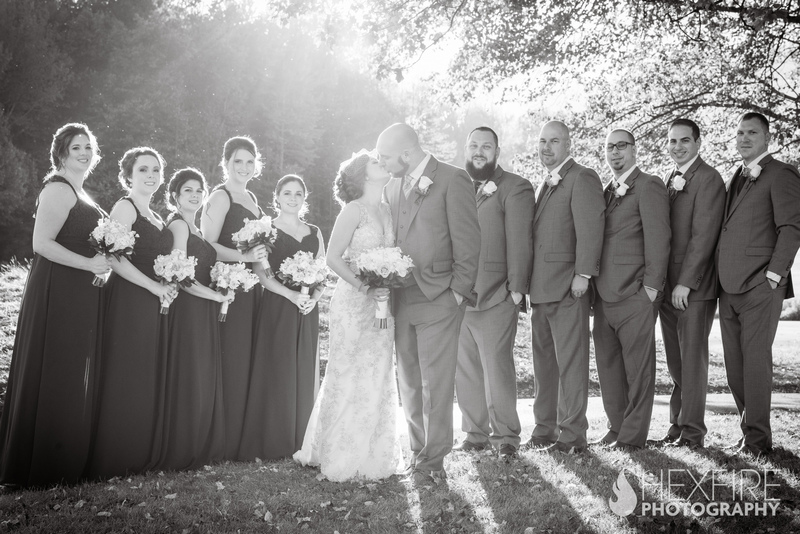 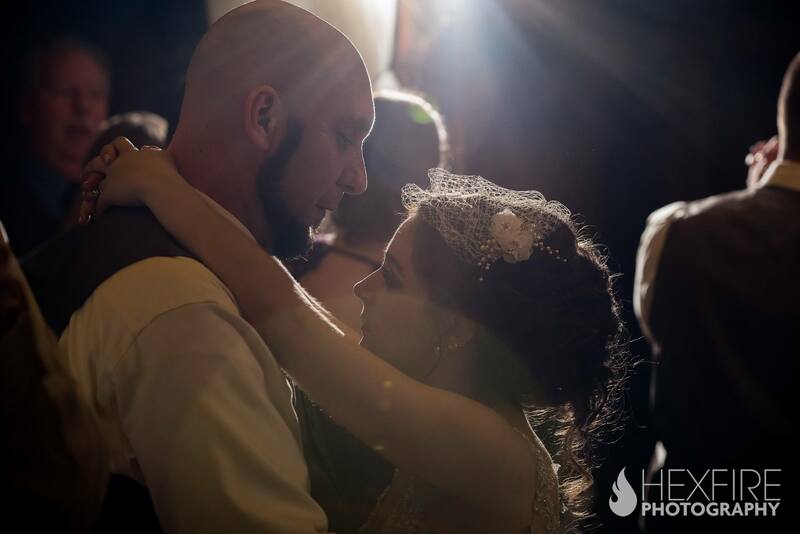 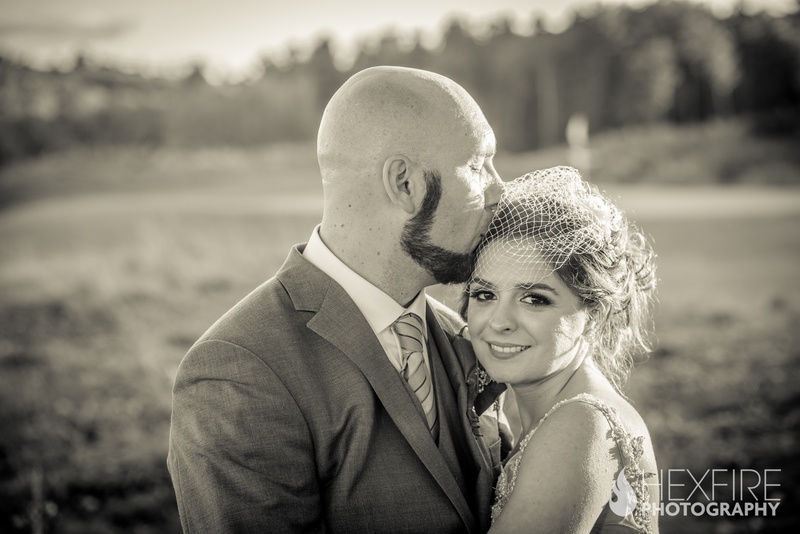 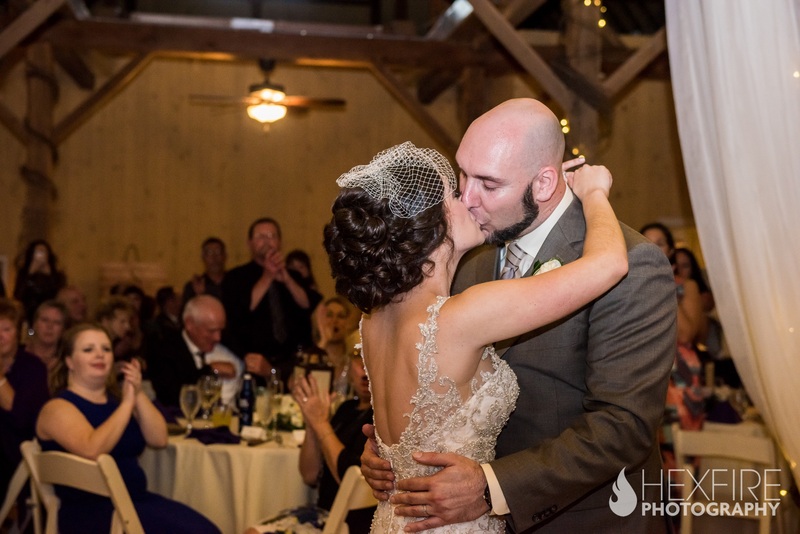 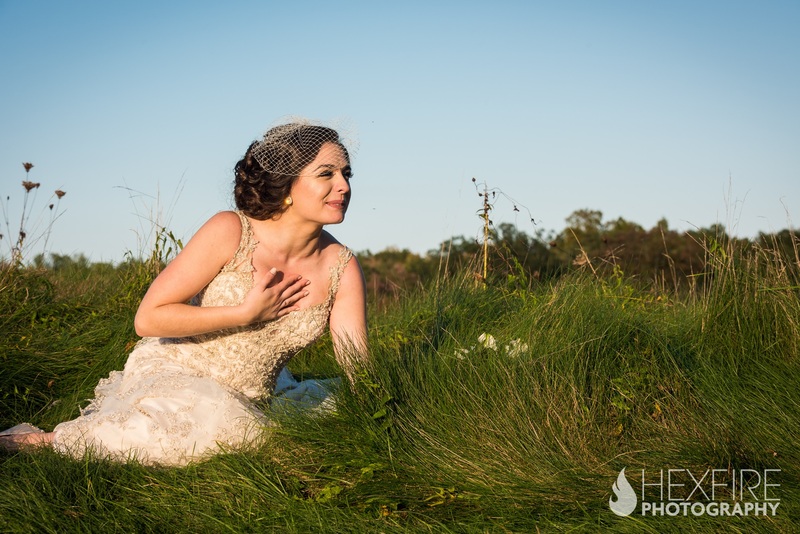 Allison and Todd had their rustic barn wedding on a beautiful sunny day in Southwick, MA. 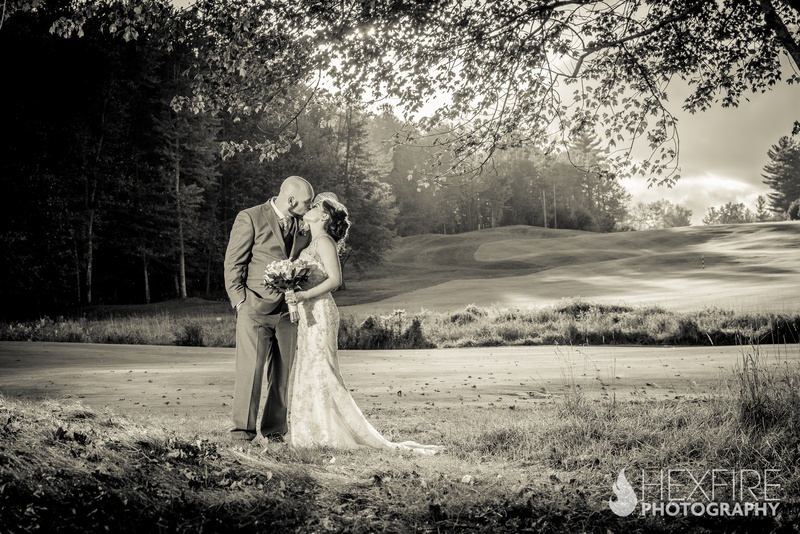 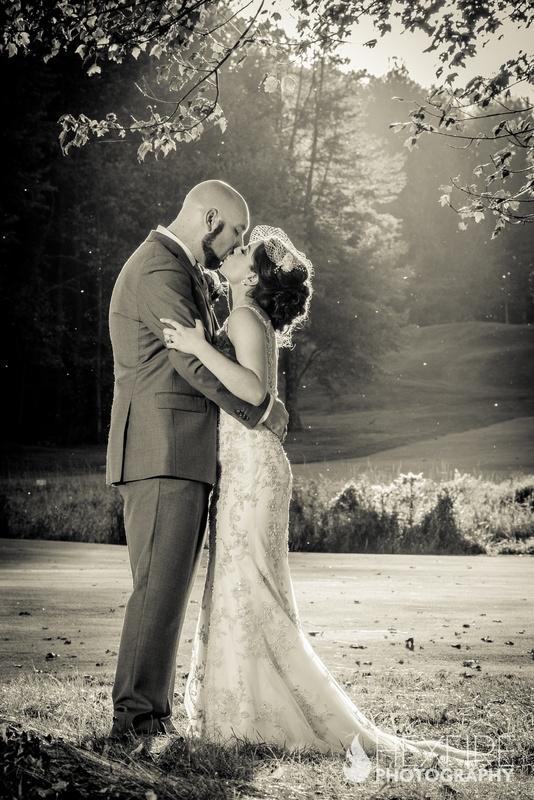 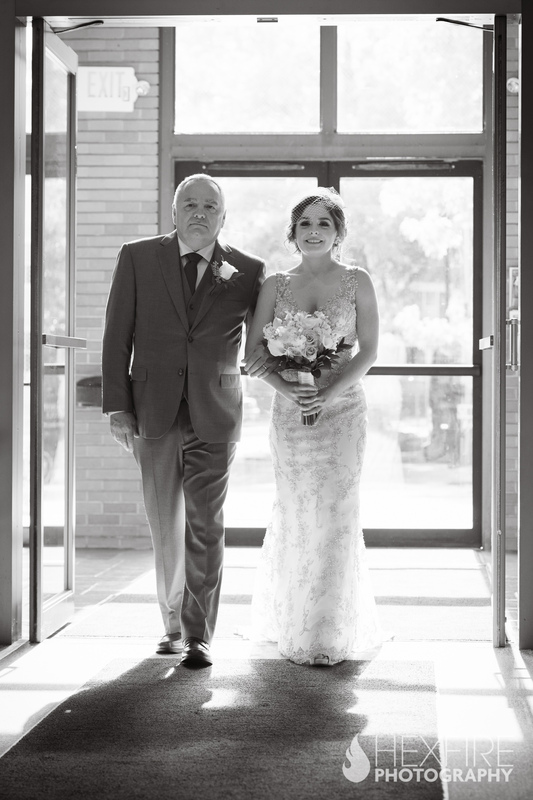 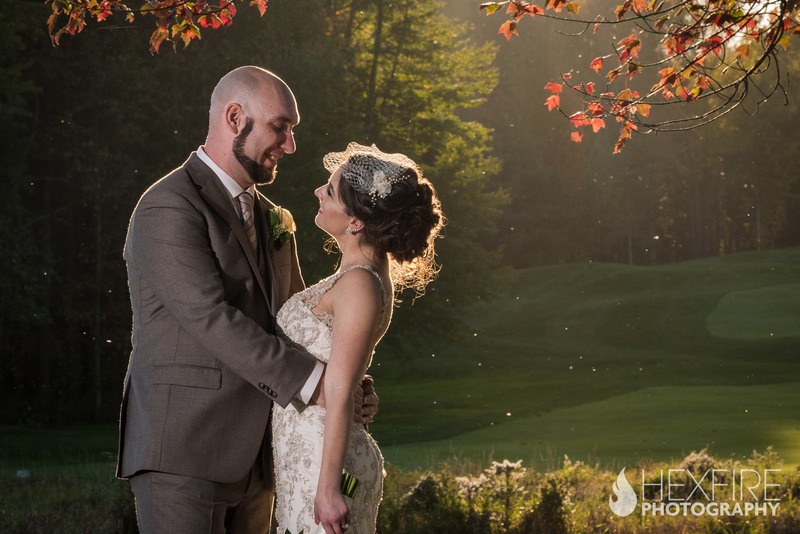 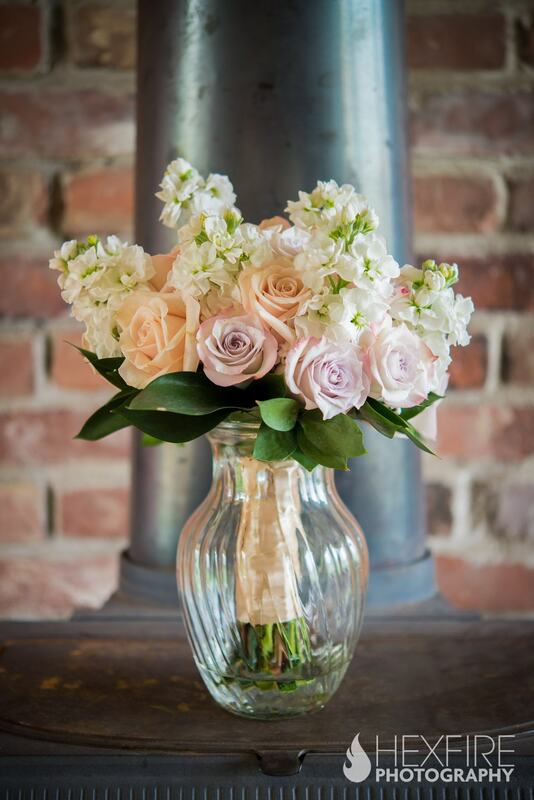 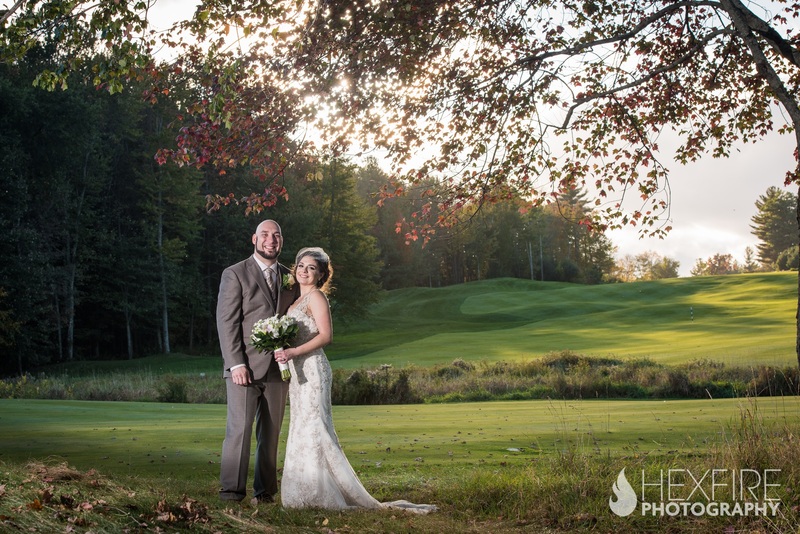 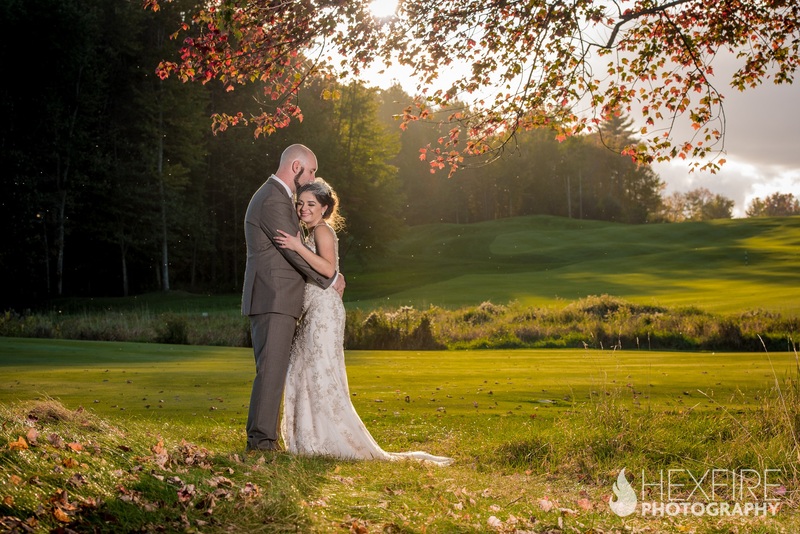 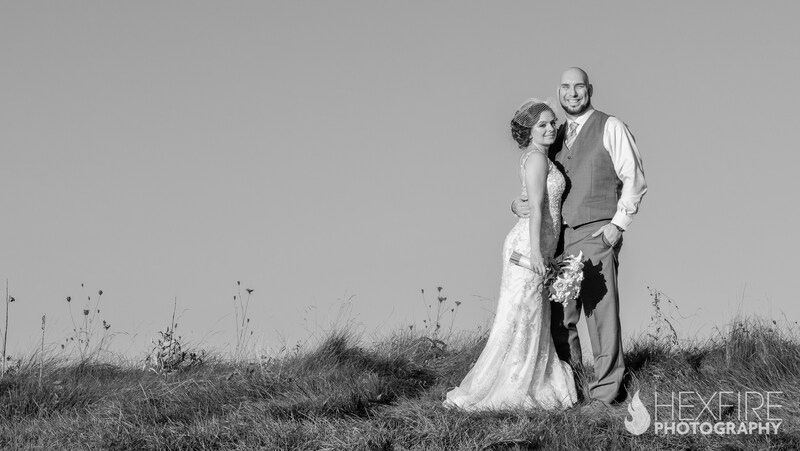 The Ranch Golf Club was the perfect setting to start their love story. 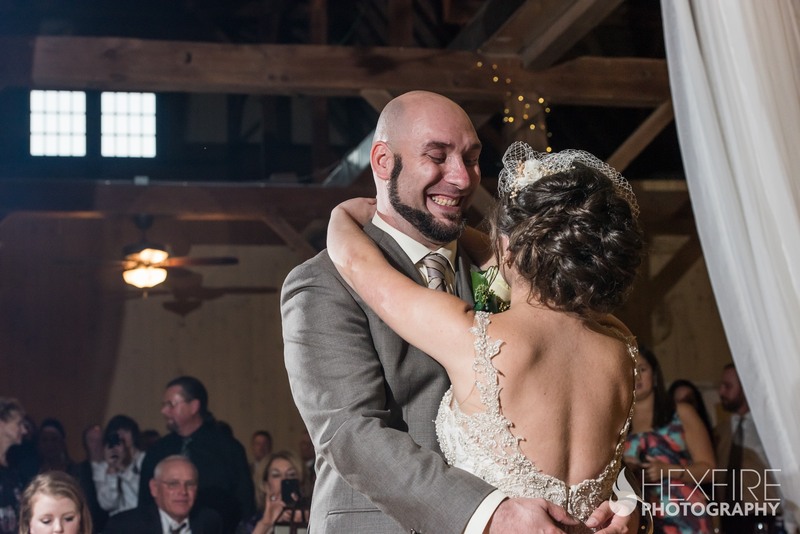 As everyone was busy preparing the decor within the wooden walls, the couple was excited to get the day started. 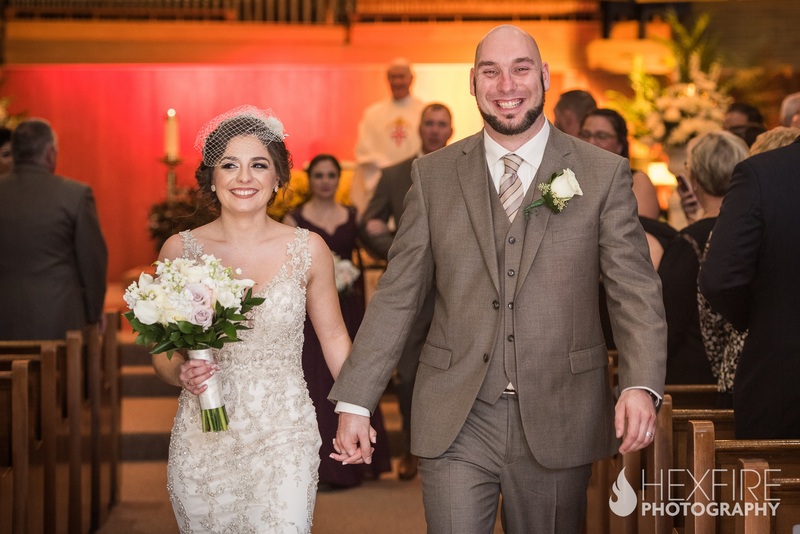 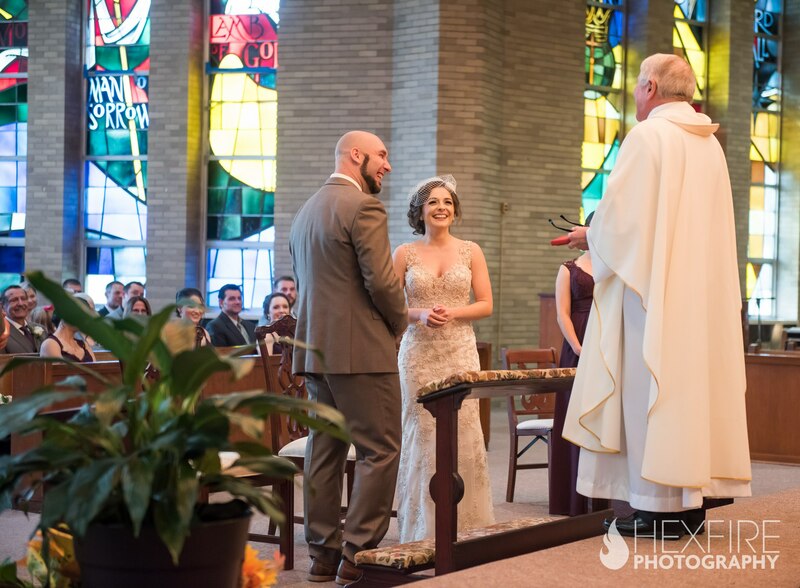 They had planned and prepped for so long, they were finally ready to officially become husband and wife. 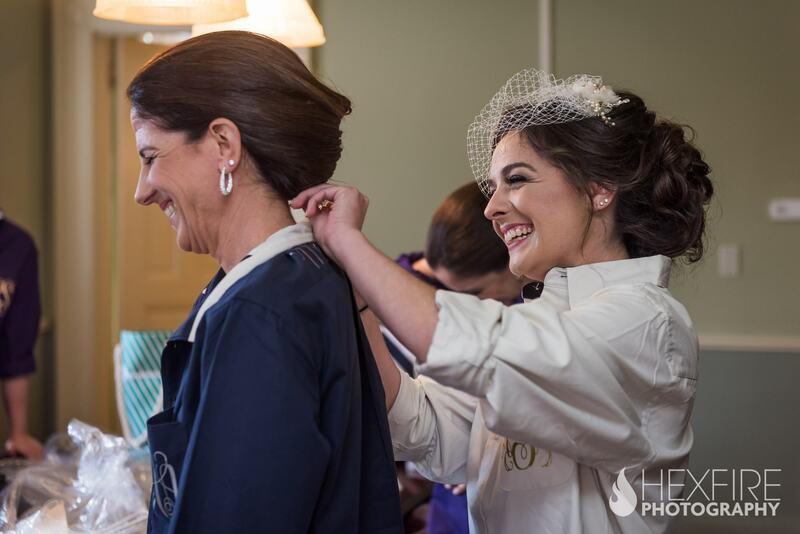 Being a hair stylist herself, Ally made sure that all of her maids and mom looked pristine. 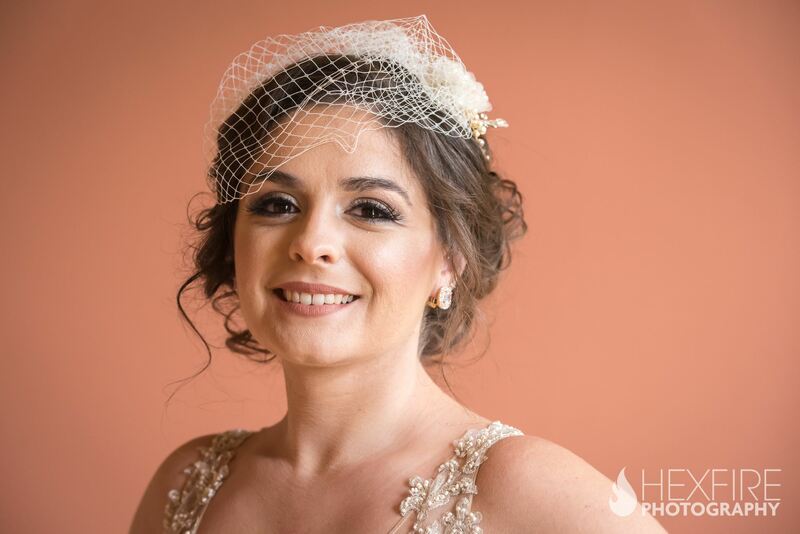 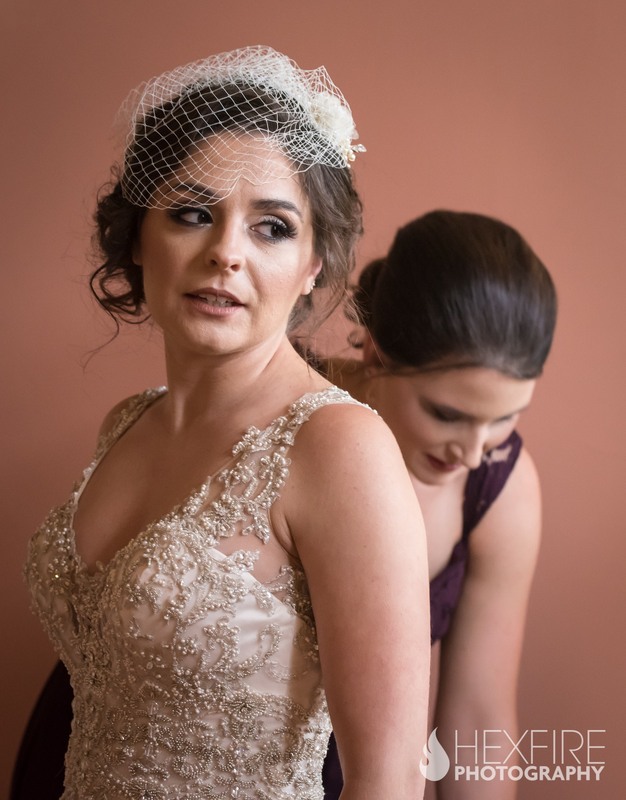 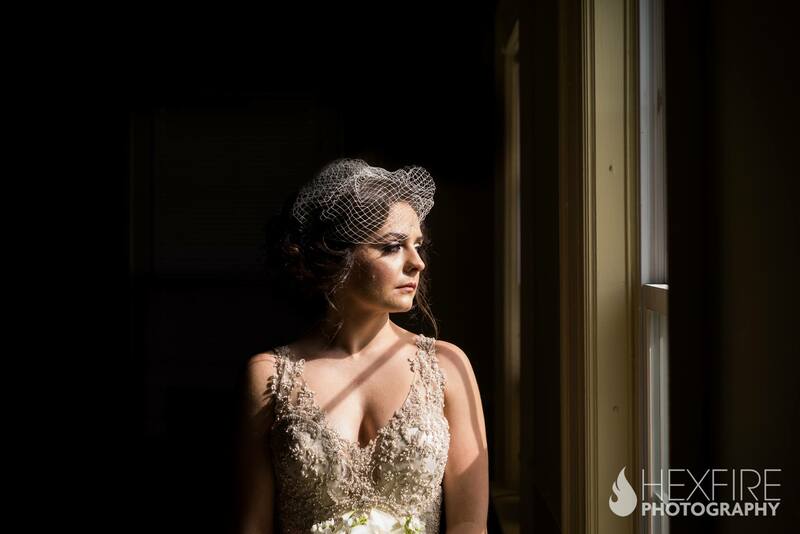 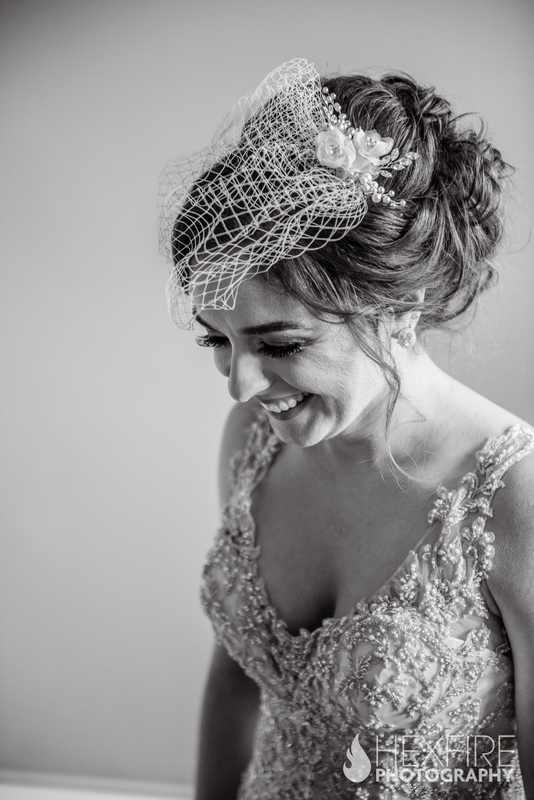 While getting ready at the small house on the top of the hill, Ally made the final adjustments to everyone’s hair while her twin sister (and matron on honor) got her dress ready for her to step into. 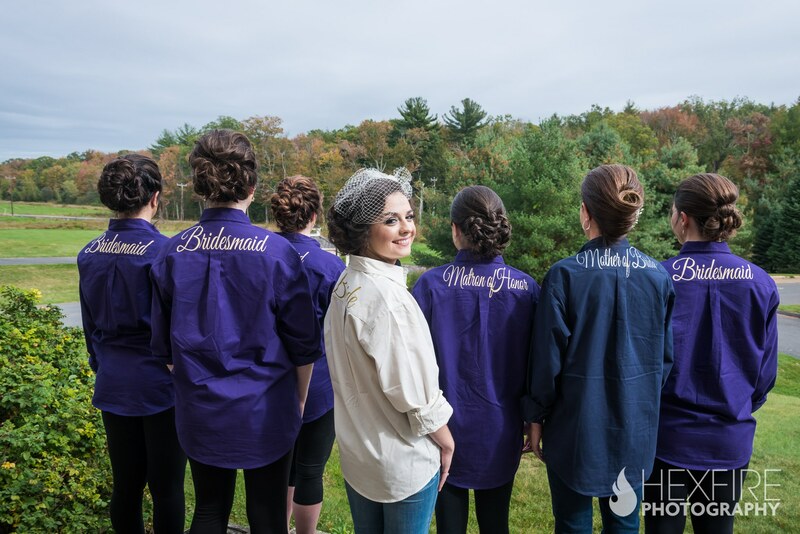 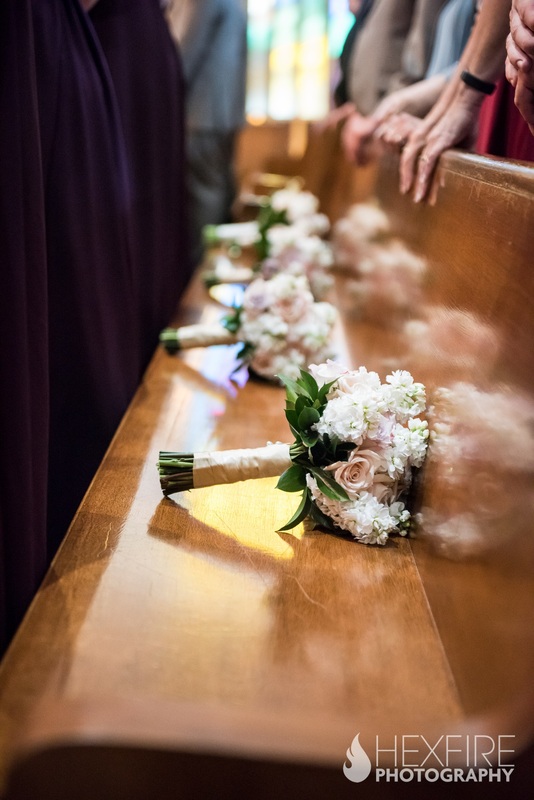 The laughs, stories, and jokes from everyone proved what great friends, and perfect match for bridesmaids, they all are. 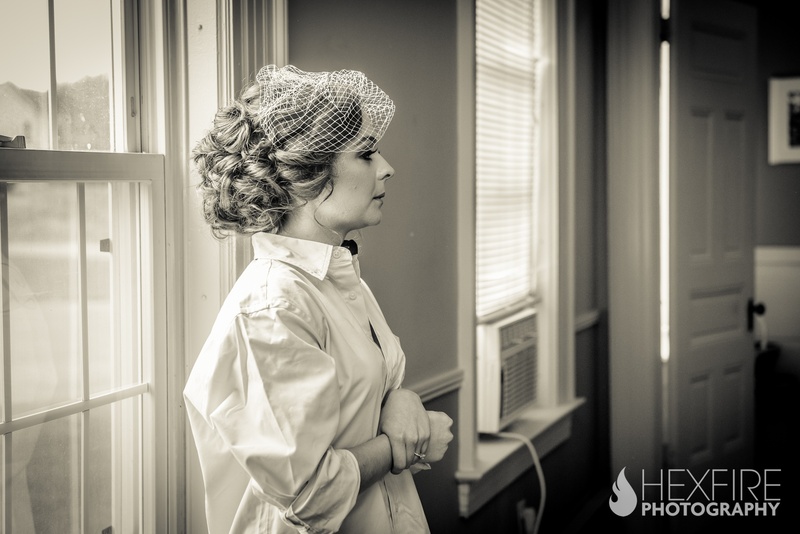 Once dressed and after a brief portrait session, Ally was ready to head to the church and meet Todd. 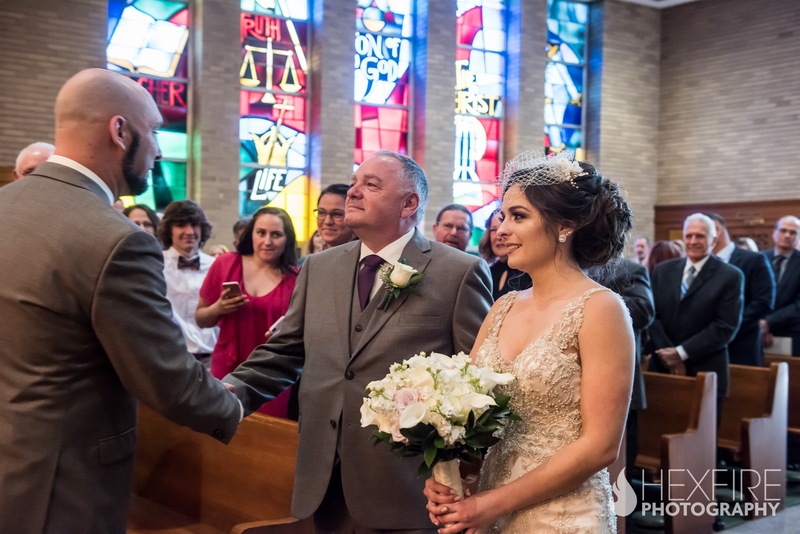 Ally and Todd’s church was welcoming charming. 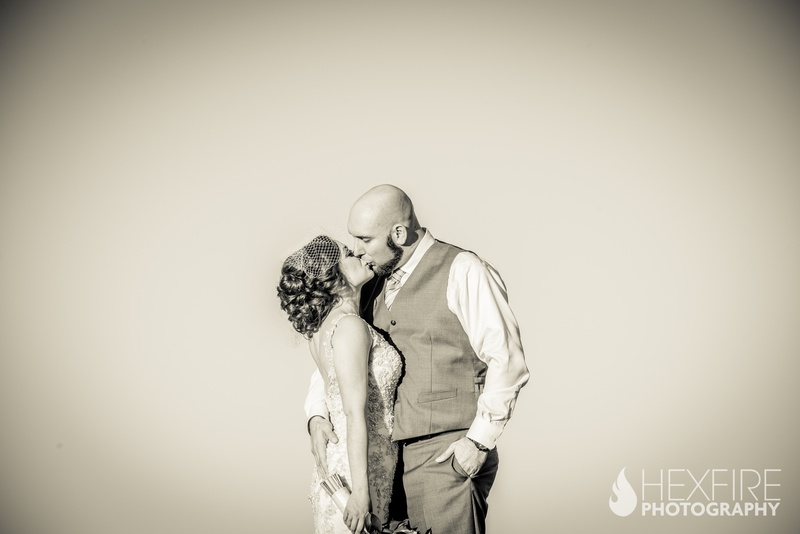 The two looked so comfortable in this setting and once they saw each other, all nerves seems to melt away. 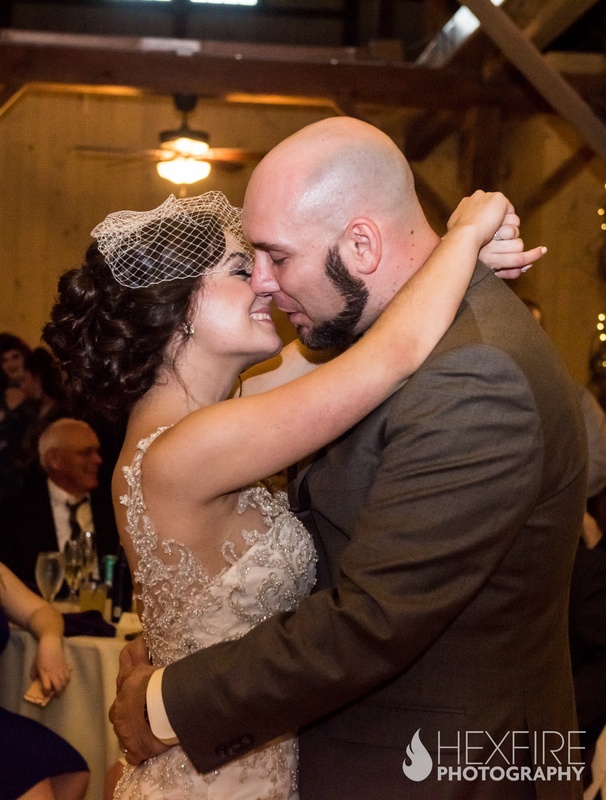 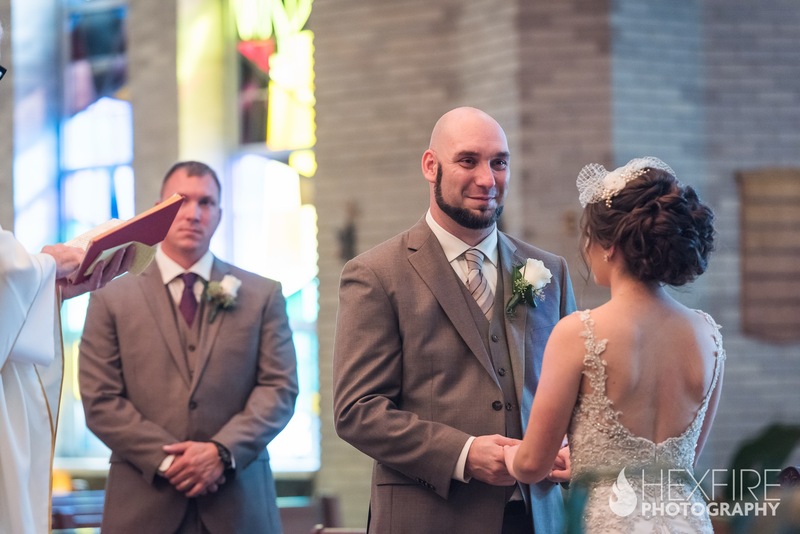 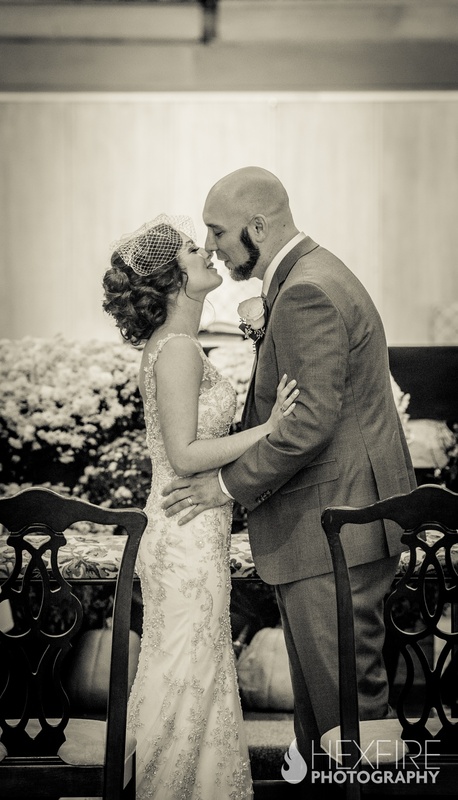 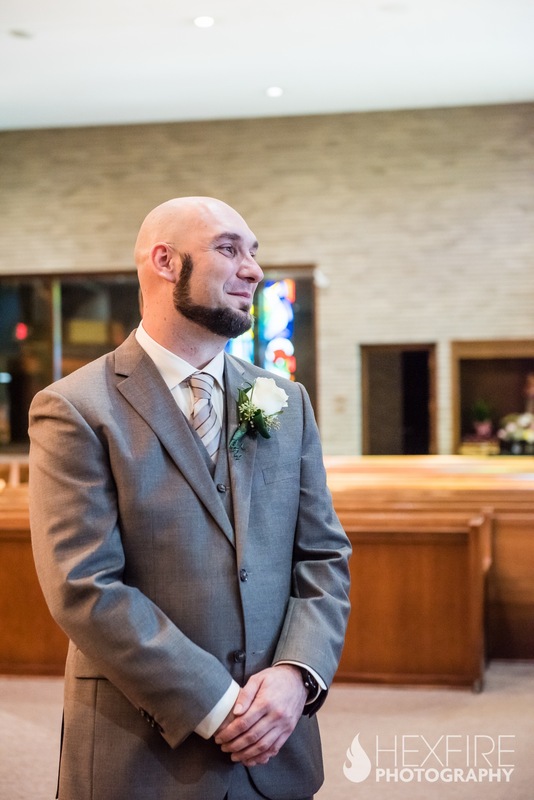 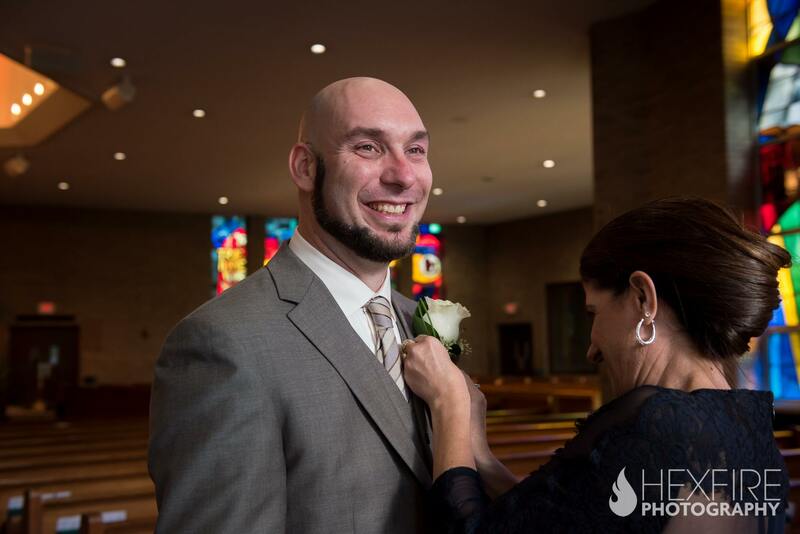 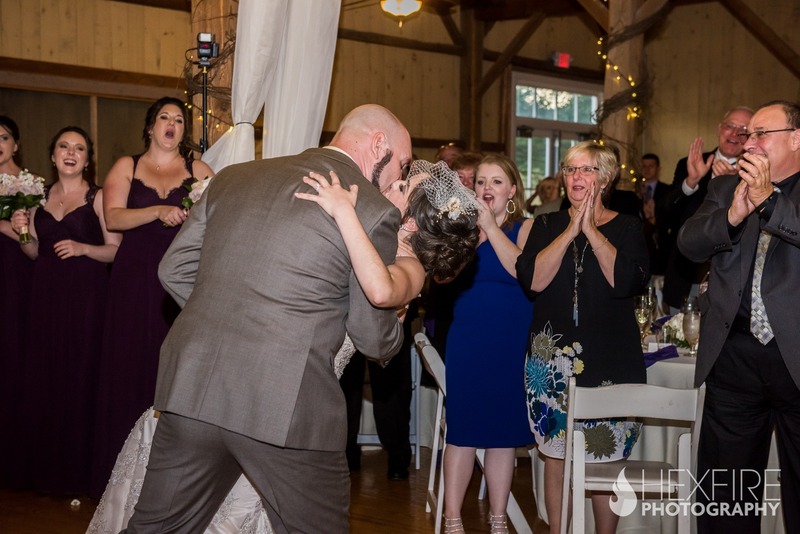 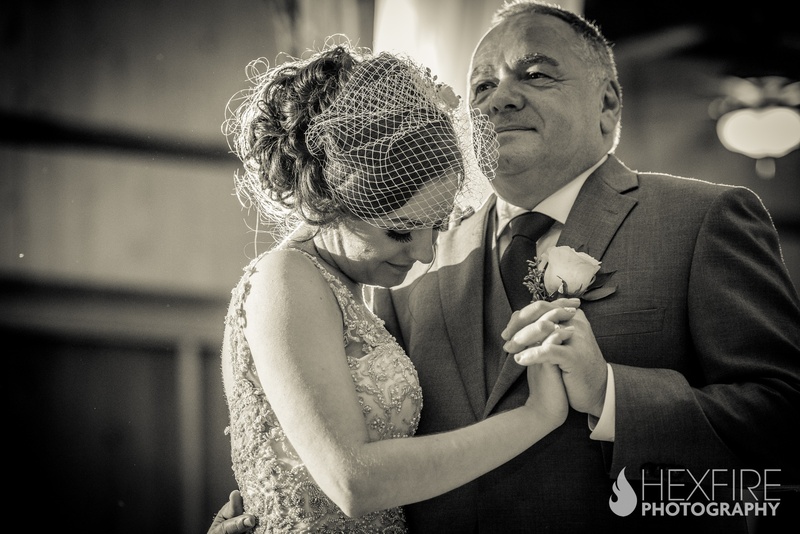 Heartfelt readings, and a touching sermon lead to a first kiss as husband and wife. 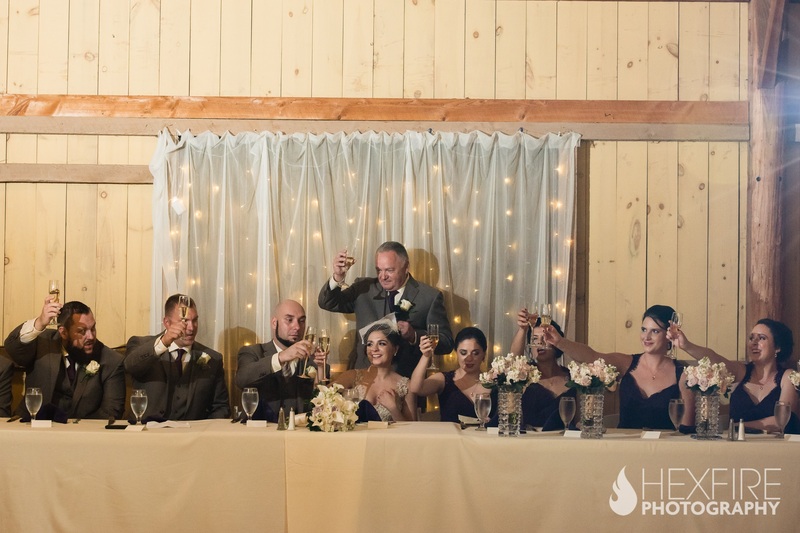 Once we all returned to the Ranch, we took our time capturing some portraits of family, bridal party members, and finally had some time alone with just Ally and Todd. 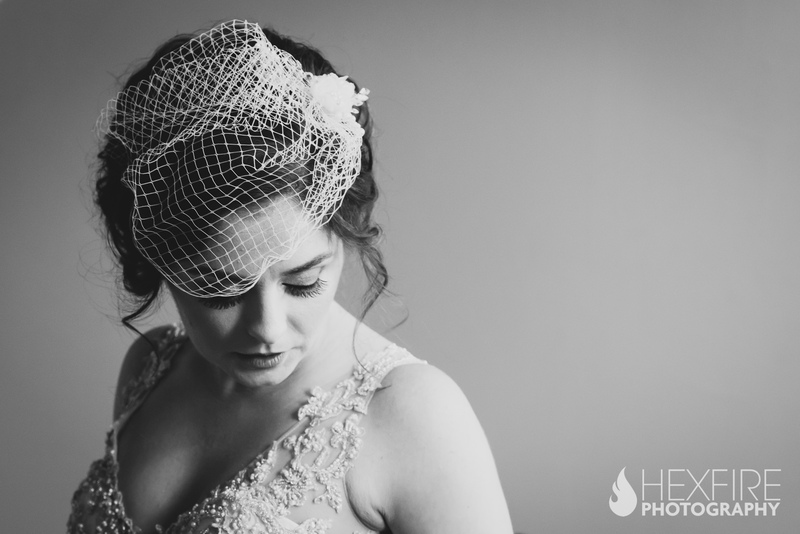 Their personalities simply shined throughout their portraits. 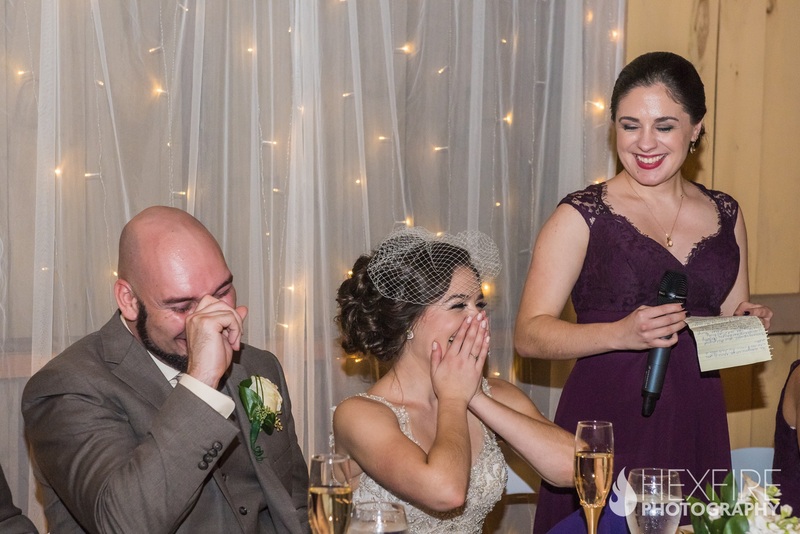 Always laughing with each other, Ally and Todd let all their guards down and simply had a great time. 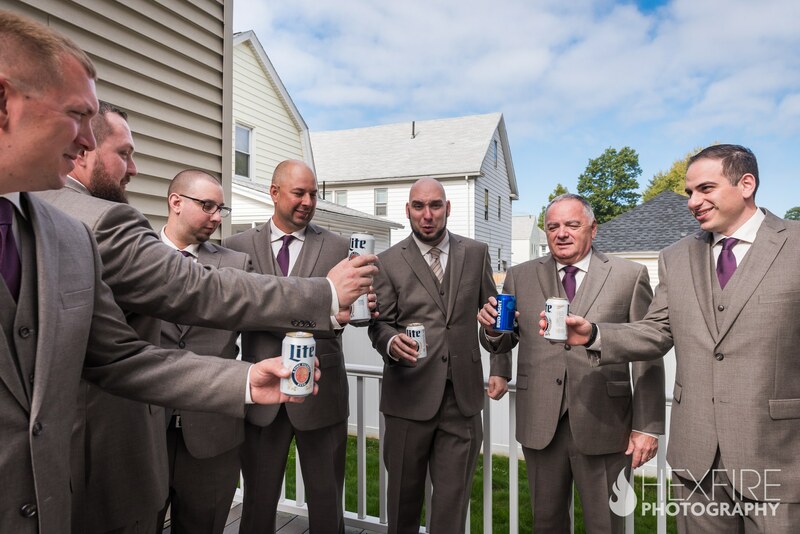 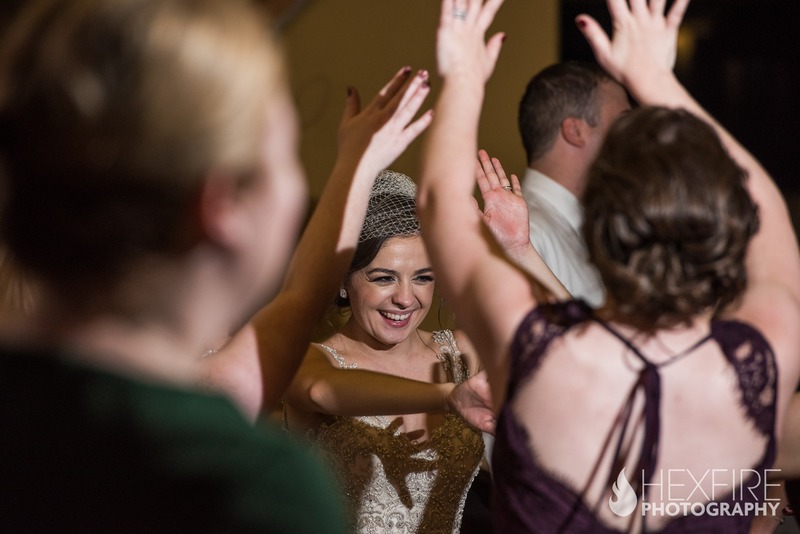 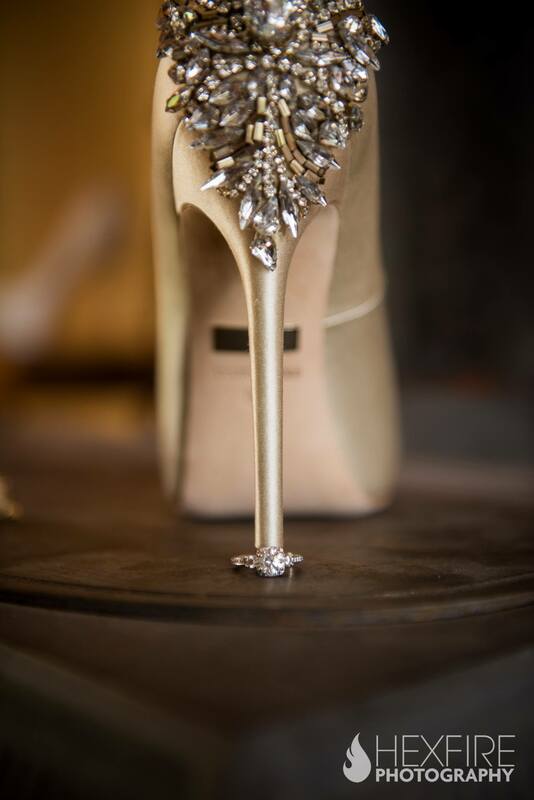 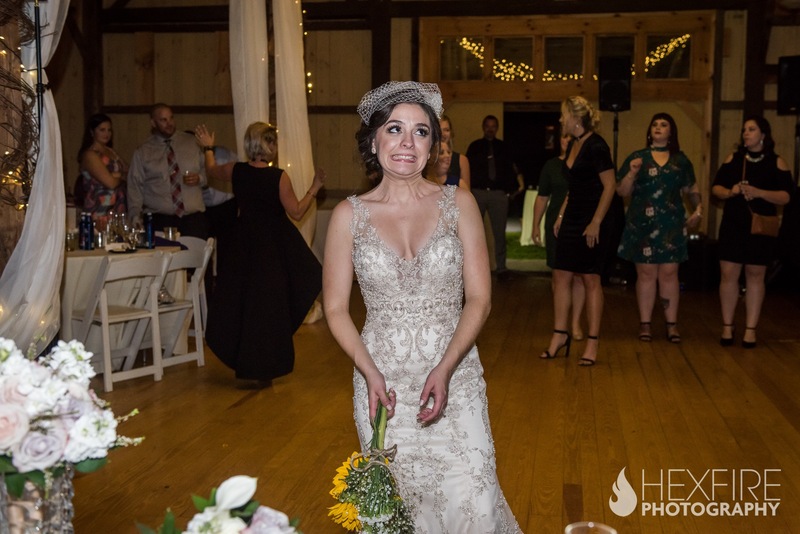 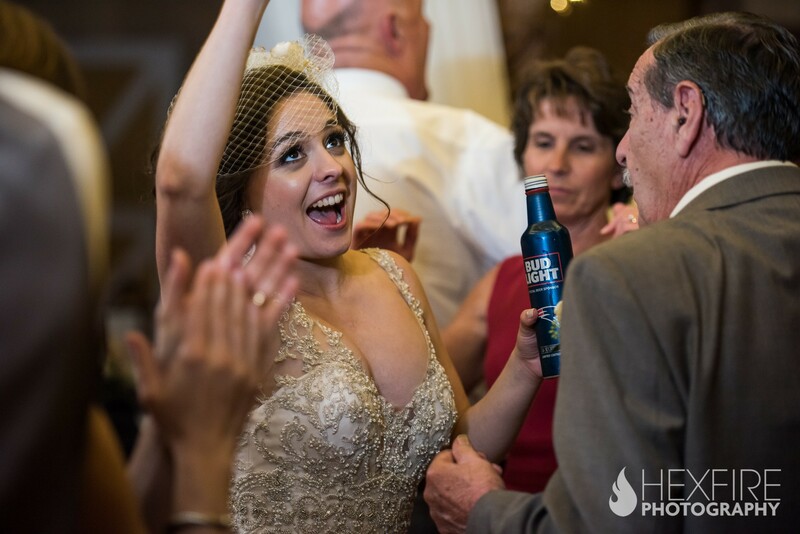 As a first, we had a bride loose her balance and out of the careful hands of her new husband. 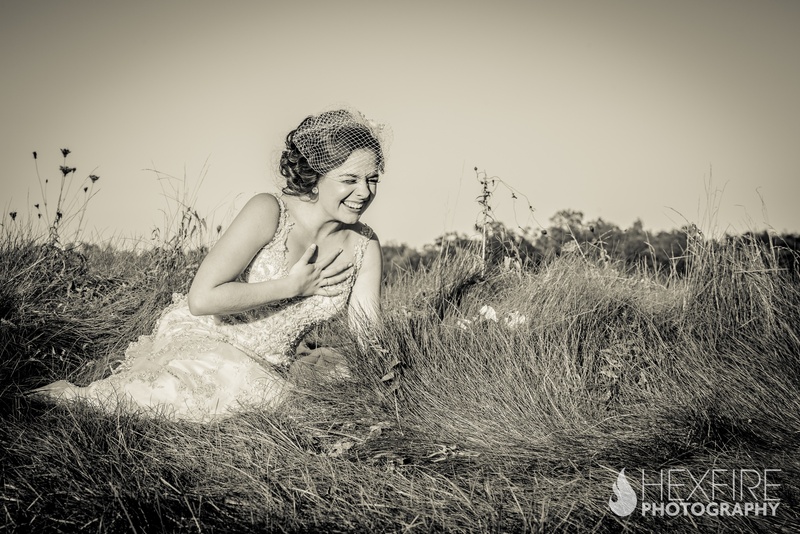 It took a minute for Ally to catch her breath from laughing so hard, as Todd sweetly joined her in the tall grass. 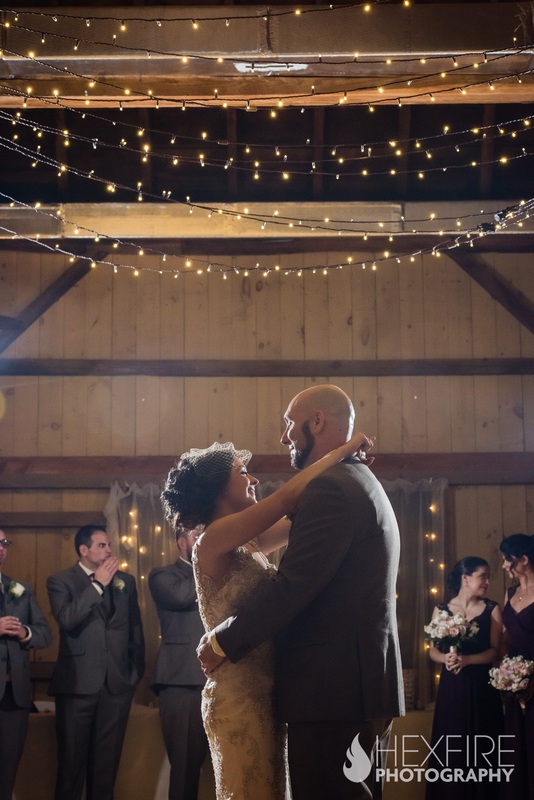 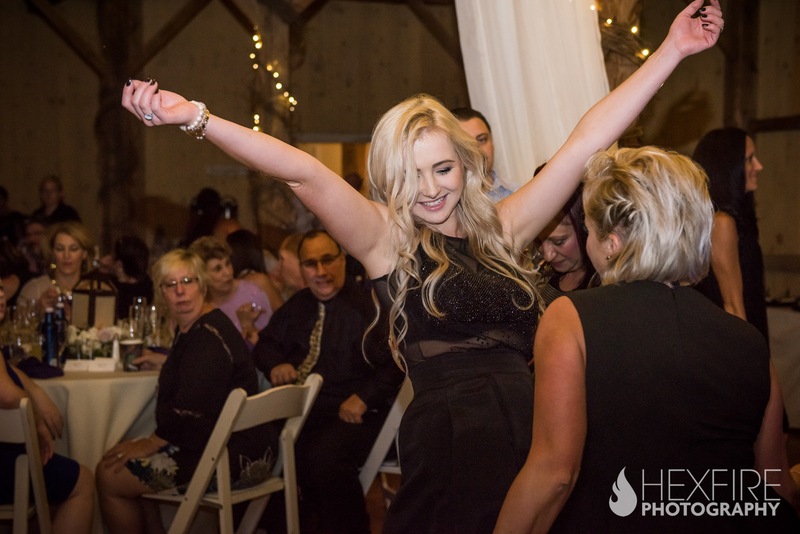 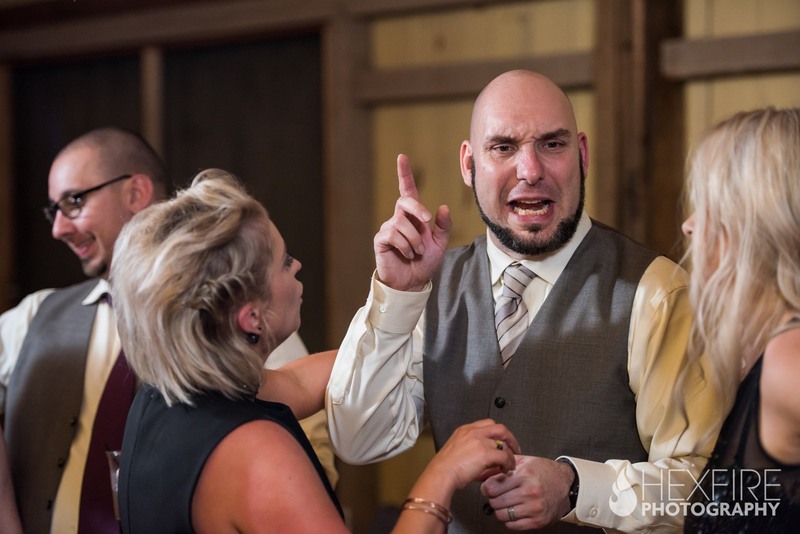 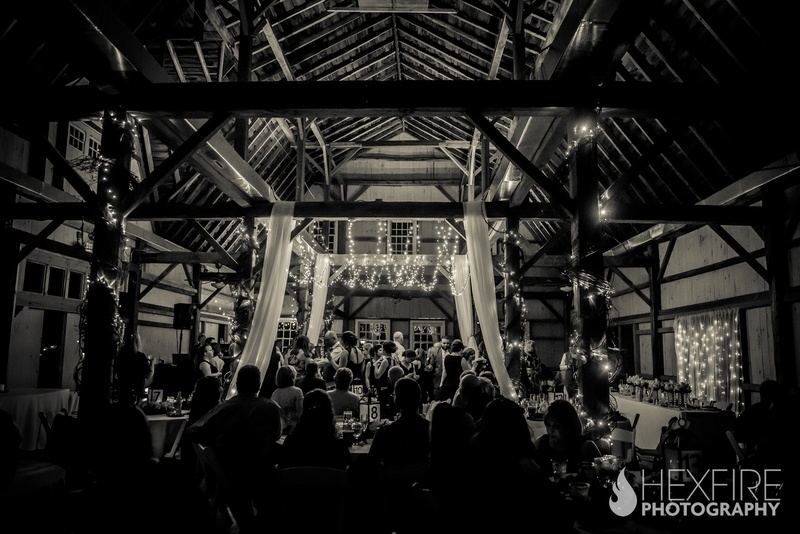 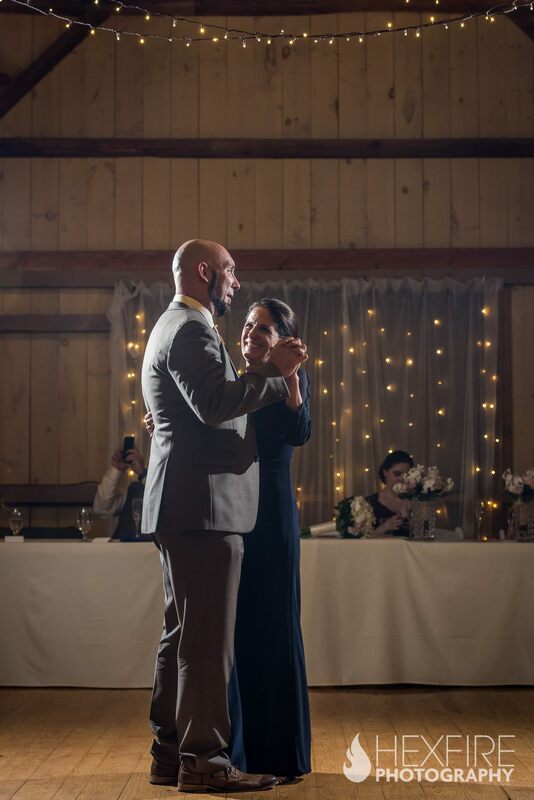 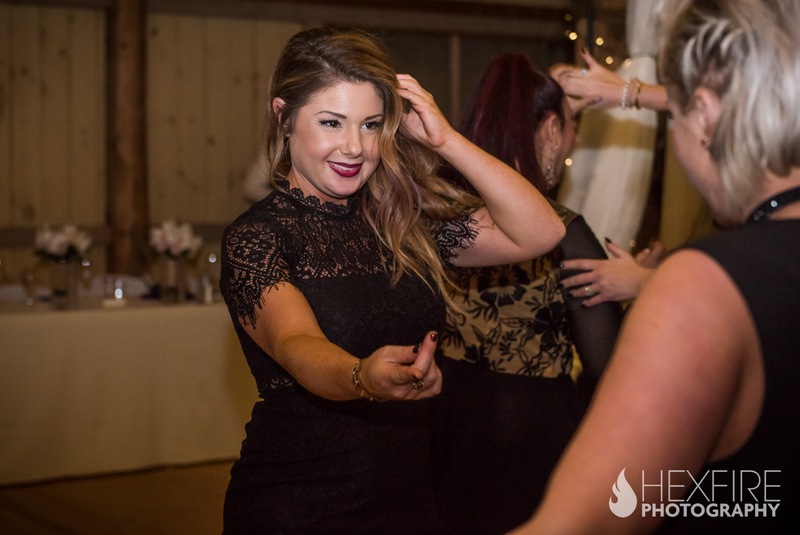 As returned their family and friends, the party within the rustic barn wedding was about to commence. 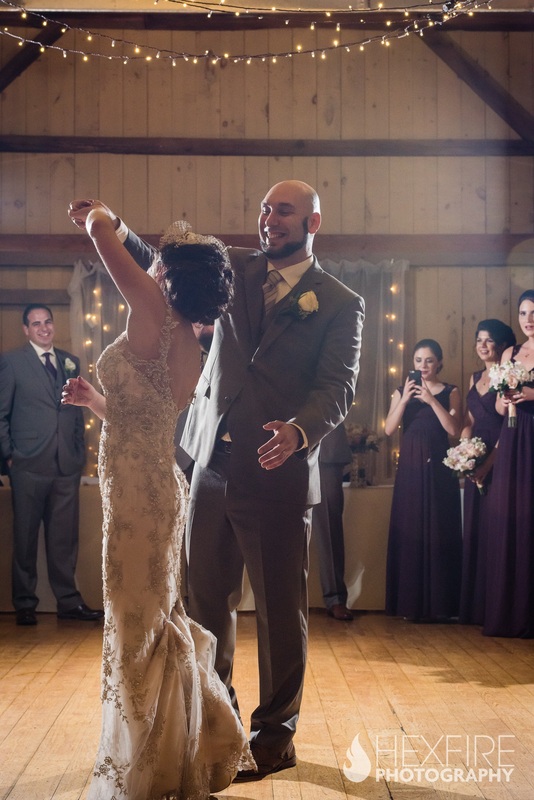 After announcements, a wonderful first dance and speeches, the floor opened to an epic dance party. 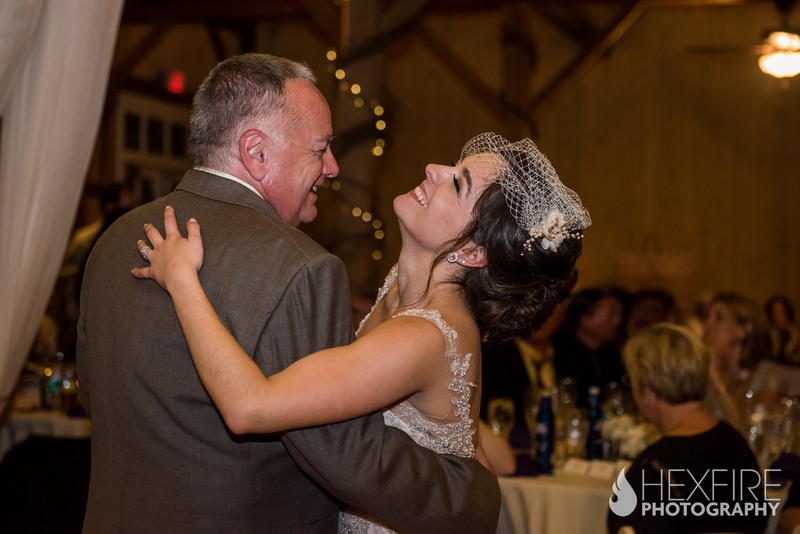 From little kids to grandparents, all joined in to celebrate Ally and Todd.